A confession: I don’t want to see it as badly as I do Manny Pacquiao pummel Adrien Broner, but time will pass, and September will arrive, and if that is indeed when Floyd Mayweather Jr. continues his six-fight contract with Showtime, the only opponent worth a pay-per-view receipt again is Marcos Maidana. A confession: I don’t want to see it as badly as I do Manny Pacquiao pummel Adrien Broner, which is what would happen if the two met in a ring. Where, by the way, was the global and moral outrage toward Broner after his racist remarks about Carlos Molina after the two fought Saturday night at the MGM Grand Garden? But time will pass, and September will arrive, and if that is indeed when Floyd Mayweather Jr. continues his six-fight contract with Showtime, the only opponent worth a pay-per-view receipt again is Marcos Maidana. Not for the chance that Mayweather actually could lose. For a welterweight champion who says he never enters a fight with having devised a game plan, Mayweather would this time. He probably would win in a far more convincing manner than the majority decision afforded his corner Saturday. He would know what to expect from the brawler that is Maidana, who isn’t going to wake up in four months with the boxing skills of Sugar Ray Leonard. Mayweather would do as he did in fighting Jose Luis Castillo for a second time in 2002 — win convincingly by unanimous decision. The rematch must happen because, really, this is the best we have now regarding who should next stand opposite Mayweather as he cashes in on another outrageously profitable evening. This is how dominant Mayweather has been. He beat Maidana. It was close, but not close enough to question the decision. But just the fact that someone made Mayweather appear as uncomfortable as anyone has in more than a decade arouses the interest of those fans who want nothing more than the pound-for-pound king to finally have that zero on his record erased. Some doubt Mayweather will ultimately agree to the rematch, despite the fact he spent much time after Saturday’s fight insisting he would honor such a request. Some believe he has reached a point where one shot is all an underdog is allowed. That would be a mistake for a fighter who wants everyone to believe his legacy is unparalleled to others, who continues to suggest he is history’s best. It’s bad enough that Mayweather and Pacquiao never fought at their physical peaks, in 2010 or 2011, when they were unquestionably the planet’s top two fighters. That will always cast doubt for those who eventually judge Mayweather’s resume against other all-time greats. But the last thing he needs this close to the end of what could be an undefeated career is the negative assessment that would come with not giving a fighter such as Maidana a rematch after such an inspired performance. There should be one, because if it’s true styles make fights, those of Mayweather and Maidana are more opposite than Sean Hannity and Bill Maher. 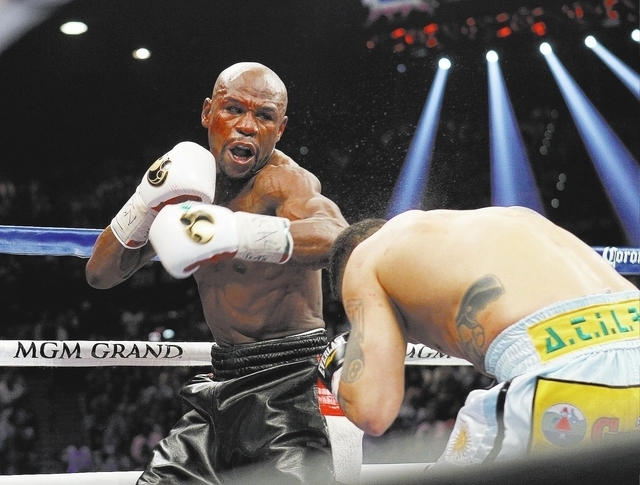 Maidana came into the ring Saturday at 165 pounds; Mayweather weighed 148. The bigger guy fought dirty and ugly and threw an overhand right that the little guy struggled against. 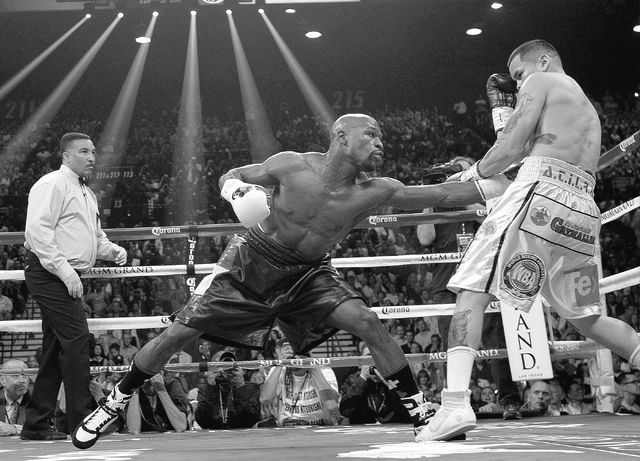 Maidana didn’t make the mistake countless others have against Mayweather. He never thought he could win by boxing. He just got inside Mayweather and kept throwing. It’s a better fight than if Mayweather next took on Amir Khan, who, while impressive in beating Luis Collazo on Saturday, had lost two of his past four bouts before the weekend. It even might be better than if Mayweather finally met Pacquiao. Maybe that fight happens. Maybe it never does. It never will be what it once was. It never will deliver like it could have three years ago. It leaves Mayweather with just one sensible option come September. Now, his words on the record are hardly proof they will hold up over time. But if they don’t, if he decides against a rematch, well, you can put another stain on that supposed all-time greatest resume nonsense. Las Vegas Review-Journal sports columnist Ed Graney can be reached at egraney@reviewjournal.com or 702-383-4618. He can be heard from 11 a.m. to 2 p.m. Monday through Friday on “Gridlock,” ESPN 1100 and 98.9 FM. Follow him on Twitter: @edgraney.